Florida Gov. Charlie Crist’s position on the new federal health care law has shifted, but not as much as Marco Rubio’s latest ad says. In the highly competitive race for the U.S. Senate, Rubio — the presumptive GOP nominee — released an ad July 22 titled “The People,” which claims: “Charlie Crist now says he supports Obamacare.” That’s not true. The Rubio campaign cites a July 20 Wall Street Journal article describing how Crist has tempered his positions since deciding to drop out of the Republican primary and run in the general election as an independent. Democratic Rep. Allen Boyd of Florida is running a TV ad falsely accusing his primary opponent of having "killed jobs," while exaggerating his own record for creating jobs. 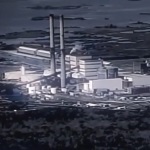 The ad, titled “Job Killer,” has been airing since May 20 in Boyd’s North Florida district. Rep. Boyd’s ad goes too far when it charges that his rival, state Sen. Al Lawson, “killed” transportation and hospital jobs when he voted for the fiscal year 2011 state budget. Shady Deals in the Sunshine State? Florida Gov. Charlie Crist has launched another ad attacking GOP primary opponent Marco Rubio — and the ethics and legality of his past dealings. They’re campaigning to get the Republican nod for a Senate seat being vacated by Sen. Mel Martinez. The primary is in August. 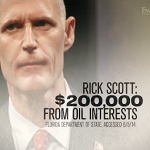 Crist’s ad draws parallels between Rubio, a former state House speaker, and Ray Sansom, Rubio’s budget chairman when he was speaker and, until recently, a state representative. The ad claims both were known for "preposterous deal-making,"
From time to time we come across bits of political malarkey or other items that don’t quite rate a full article. Starting today, we’ll collect these tidbits in a new, occasional feature we call "Extras." Palin: "Who makes a decision like that?" In a Nov. 6 appearance at a no-cameras-allowed fundraiser, Sarah Palin criticized moving the words "In God We Trust" onto the edges of some new $1 coins: "Who calls a shot like that? The Democratic Senatorial Campaign Committee has released a Web ad linking one confirmed and one potential Republican candidate in the 2010 senatorial races to soon-to-be former Alaska Gov. Sarah Palin. But one person isn’t quite like the others.